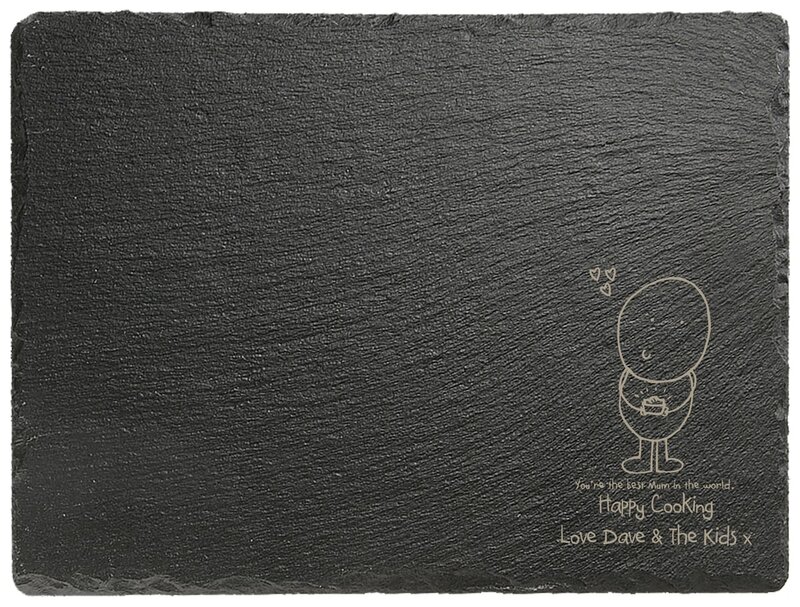 Chilli and Bubbles know the perfect way to say Happy Mother's Day but to add an extra touch we include your words into the engraving on this beautiful slate chopping board. From veggies to bread and cheese this board with its large surface makes a perfect addition to the kitchen whilst also letting Mum know she's the best! Our cheesy Chilli and Bubbles characters are here to help celebrate an anniversary in style.